SO, YOU WANT TO BE A COLLEGE STUDENT ATHLETE? DO YOU KNOW WHAT IT TAKES? 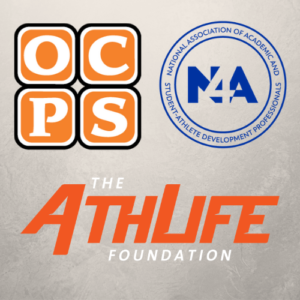 Attention all student athletes in Orange, Osceola, and Seminole County public high schools entering grades 9-12 in the fall of 2019. Registration is open for this event and is first come first serve! Act now to reserve your spot - this is a FREE event and a one-of-a-kind experience to help you get better prepared for college!